It’s a seller’s market. That is if you’re selling digital marketing services in the form of social media, content marketing, analytics, or email marketing. Today those are the buzzwords that sell. But the buyers fishing in the digital talent pool are suffering from a case of buyer’s remorse! It’s true; executives reveal they’re unhappy with the skills of digital and social media team talent, and there’s a large talent gap hurting sales, employee retention, and marketing ROI. New research by OMI, in partnership with ClickZ and Kelly Staffing, reveals Fortune 500 companies and global agencies face a serious digital marketing skills shortage. Is it a case of growing up too fast or tying to be something you are not trained to be? Thirty percent of large companies and 24 percent of agencies are unable to adequately distinguish between individuals with the right skills, and those without. Social media “gurus” are a dime a dozen. Take off the masks and you might find a traditional public relations professional, agency, or marketing firm. PR and marketing firms are morphing into digital marketing experts regardless of the actual experience. Traditional marketing departments and agencies are throwing staff in the digital world and expecting them to just “figure it out,” only to find out that the same skills don’t translate and result in poor performance and execution. The irony: with the proper training and experience, traditional public relations and marketing pros can actually make the best digital marketers. The problem is that it’s not an automatic switch and almost like a balanced diet, it requires constant exercise and nutrition. Something Fortune 500 companies and agencies need to realize when they are selling and buying digital marketing services. Having a social media page is not necessarily a qualification. Rigorous and methodical hiring, ongoing training, and twice a year reviews (especially facing the pressures of entitlement with the millennial generation who are looking to quickly move up the digital ecosystem) are critical in any organization’s hiring process, but with digital marketing being a life blood of today’s business world, the stakes are higher. “Hiring criteria and systems that include a detailed job description, years required, distinguish between paid or organic talent, make sure there is more than one interviewer, possibly include a series of tests and make sure that you are not only asking the right questions but the person asking the questions understands what the right answers should be,” said Melanie Mitchell, digital strategist and executive coach. Digital marketing is laced with lingo, technical terminology and acronyms with new words being entered into the Webster’s Dictionary on a regular basis. “If human resources or a recruiter is given a list of questions to ask, they also should have a script of the expected answers,” Mitchell said. Digital marketers can easily outsmart HR or recruiters unfamiliar with industry slang. Answers can be packaged in a way that might sound good to a novice or even a senior marketing executive not in the day-to-day digital marketing trenches. But it might be that the answers don’t reflect the appropriate skill-sets important to fit the job requirements. “Training is critical, but it’s not a typical three-month training curriculum where they ease their way into the process and digital marketing. Since everything in the industry moves so fast, we feel the best way people learn is to learn by doing,” Everhart said. “We’re structured in 3-person teams so when a new team member comes on, they start working directly, in the same office, with that team. If there’s a particular skill they’re weak at – SEO, PPC, social, content – we go through a one or two hour training meeting to walk through that tactic, then give them a real hands-on tasks for a client where they can practice it,” said Everhart who heads up the agency’s digital talent staff in Atlanta, Tampa, and Gainesville. Regular Reviews, Raises and Promotions – I Deserve it! Leaving your ego at the door is a tough call for today’s younger workforce who basically grew up online. There is a broad sense of entitlement among young employees and employers are reporting a widespread attitude of entitlement among young hires. Seventy percent of respondents say new employees expect to advance or be hired for upper-level positions before proving themselves. Idea: Performance reviews can also be conducted with an agency-client relationship! If you are on the client-side and this is not in place, initiate it as part of the requirement with your agency. How Can You Close the Digital Talent Gap? “There won’t be standardization in these roles (digital marketing) any time soon. We’re not talking about doing brain surgery here or selling pharmaceuticals. Heck, even universities can’t keep up because things change so quickly. It’s like turning a battleship around in a bathtub. By the time most educational programs have caught up, things have changed again,” Weintraub said. Digital agencies give themselves a taste of their own smart medicine by using things like custom targeting and psychographics as part of the digital marketing talent outreach and retention programs. Foster close ties to academia in the region by developing relationships with professors who teach marketing programs. Use advanced LinkedIn search filters to maintain its awareness of online marketing professionals of all disciplines within 10, 20, 50, 100, and 200 mile radius of aimClear’s two offices. Seek out pros from its area at national conferences. What Can You do if You’re a Digital Marketer Trying to Make it? The question remains what is better, to be a specialist or generalist? According to the Digital Marketing Talent study, there is evidence that hiring trends are shifting towards those with experience in certain areas with 35 percent report looking for both generalist and specialist, 22 percent say the need for specialists is growing. There is a need for solid, measurable and accurate digital talent education. Close to 80 percent said they would value an on-demand library of digital marketing classes, with almost 70 percent interested in some sort of eLearning or in person workshops or training. So if you are in the market to buy or sell digital marketing talent, credentials and certifications matter; even at a higher executive level to have a high level understanding of the basics of SEO terminology, reporting and best practices will help identify the right talent. ClickZ Academy brings a whole library of crash courses, webinars, and courses designed to improve digital marketing skills and ROI. Conferences such as ClickZ Live and Pubcon offer onsite workshops, clinics, boot camps and certification programs in addition to the conference panel session. It’s now possible to get a master’s in social media in just 18 months in a 100 percent online format. The University of Florida is the first of its kind to offer a Masters of Arts in Mass Communication with a focus on Social Media. If you’re a senior executive trying to stay in the loop of SEO on a need to know basis; there’s help. Bruce Clay offers marketing executives everything they need to know about SEO in a free online training course specifically designed for CMOs and executives to learn the best practice methodology for SEO so they can recognize a song and dance when they hear one. If you are looking for a social media 101 jumpstart program or more advanced digital marketing courses, Boot Camp Digital offers online training, live training and specialized corporate training headed by Krista Neher. 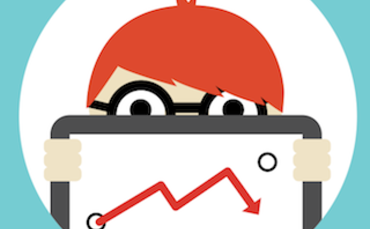 “For years the SEO industry has outpaced new SEO talent, creating a wide talent gap. Today we’re still struggling to fill that gap. In fact, Catalyst is looking to fill close to 20 new hires by the end of the year. However, I believe we’ll start to see that gap close over the next 3-5 years as the SEO tasks that used to require a specialist get filled by web developers, social marketers and more advanced content management systems,” said Dan Cristo, Director of SEO Innovation for Catalyst Online. What are you doing to close the digital marketing talent gap in 2014? Share your ideas and experiences in the comments below.